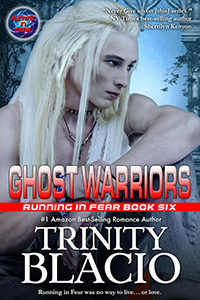 In Ghost Warriors, the sixth title in the best-selling Running in Fear series by #1 Amazon paranormal romance writer Trinity Blacio, strong-willed vampire Lissa must take on the challenge of being mated to four supernatural men, as well as saving her world. No matter what came her way, Lissa had always been a fighter. 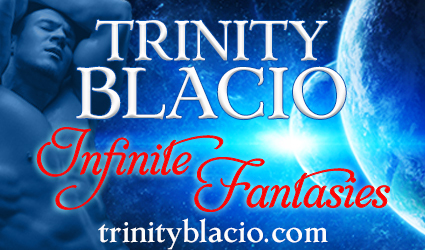 Yet, when Lissa learns she is mated to four men, she swears someone is out to get her! 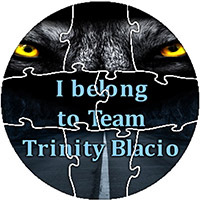 Nikola, Castor, and shifter brothers Adonis and Pierre have all vowed to keep their mate safe, but Lissa has other ideas now that their world is beset by dangerous magical enemies and violent zombies! As a vampire herself, she can hold her own—but with an inevitable war between the supernatural species approaching, can Lissa and her mates build their relationship while they keep each other safe?